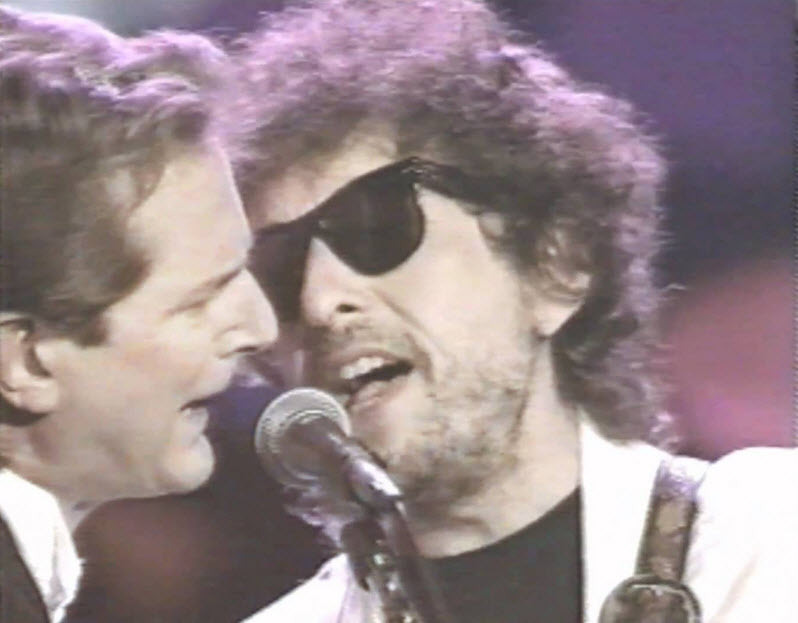 Dylan makes a surprise appearance at a tribute to Roy Orbison at the Universal Amphitheater, Universal City, Los Angeles, joining three of the original Byrds (David Crosby, Roger McGuinn, and Chris Hillman) on a version of “Mr. 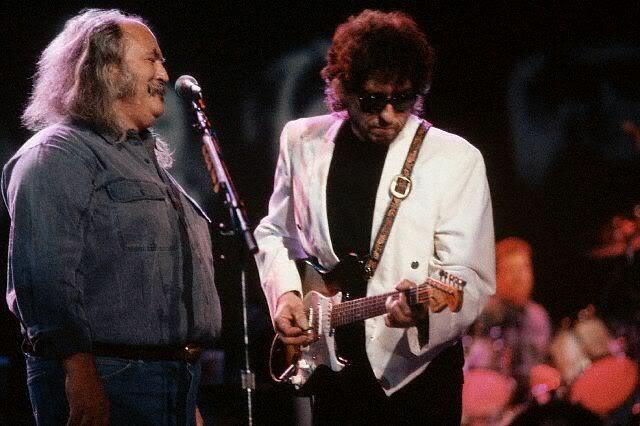 Tambourine Man.” He remains onstage, playing guitar on “He Was a Friend of Mine,” and joining in on an ensemble encore of “Only the Lonely.” The version of “Mr. Tambourine Man,” on which Dylan competes with McGuinn for the “lead” vocal, subsequently appears in a cable TV special of the benefit, as well as on CBS’s four-CD Byrds retrospective, simply titled The Byrds. Don”t know who was responsible for this but thank nyou for showing these great masters!